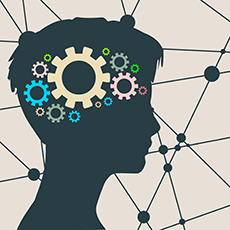 Half of mental health problems in adulthood begin before the age of 14, and by the time they are 16 roughly three children in every class will experience a mental health problem. When it comes to finding help for mental health only a quarter of young people know where to go. In addition, the stigma attached to mental health frequently can stop individuals from seeking help because they feel embarrassed or are fearful of being judged. These qualifications therefore aim to address gaps in knowledge and to improve understanding of mental health questions. The Award in Mental Health and Wellbeing at SCQF level 4 consists of 3 mandatory Units (18 SCQF credit points). The Award in Mental Health and Wellbeing at SCQF level 5 consists of 3 mandatory Units (18 SCQF credit points).